The Fast Lane Anthracite Jersey takes Assos' renowned short-sleeve jersey platform and applies a geometric block design by NYC-based designer Luis Fernandez. The regularFit pattern also makes it a great jersey for all shapes and sizes. 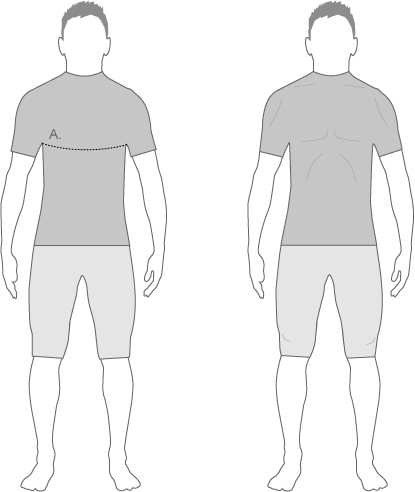 The Fast Lane Anthracite Jersey is body-mapped to fit beautifully, with a regularFit pattern that allows plenty of freedom of movement and impressive comfort. This comfortable fit is paired with a lightweight and fast-drying double yarn textile that does an incredible job of wicking away moisture to leave you perfectly dry, whilst also being sun-protective and odour resistant. A slim front zipper makes for easy on/off and adds a simple way to control ventilation on hotter days. Borrowing design cues from their favorite long-distance jerseys, you'll find open mesh under the arms to increase airflow, meanwhile the reinforced pocket system keeps loaded pockets nicely in place, without sagging. Fold-over stitching at the cuffs and front hem plus a light silicone grip along the rear hem keeps the jersey in place, even when in a more aggressive riding position. Assos Fast Lane Anthracite Jersey (Navy Crimson) is rated 2.0 out of 5 by 1. Rated 2 out of 5 by RetroPhil from Liked the colours and the style, but frankly disappointed with the fit. When the jersey was zipped up it caused the jersey to roll up at the front across the chest. Expected better from Assos. This review makes allowance for my body shape and the DHB top I bought fits a treat for a few quid less.